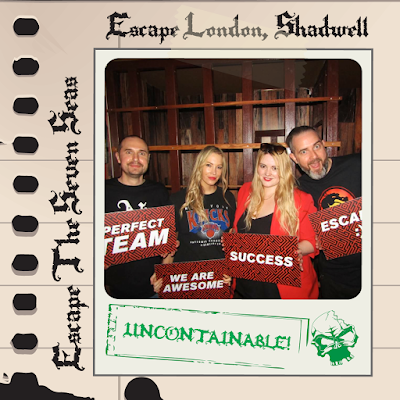 Through an unassuming entrance just off of Commercial Road, we arrived at the Shadwell branch of Escape London to play Escape The Seven Seas. We were warmly welcomed by our host Karol, who summarised the rules of the game in a spacious reception area before escorting us to the room where our 60 minutes to escape began. 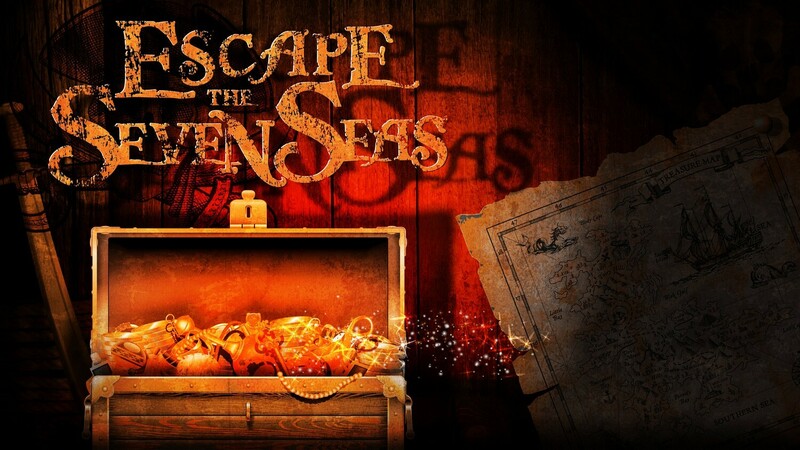 Within minutes we found ourselves locked up in the brig of the ship, our mission was to free ourselves, break into the Captains Chamber and steal the treasure for ourselves - The promise of glory and riches awaited! Had there been no introduction to this room, it would not have been immediately obvious that the setting was in fact on a ship. For us at least, our first impressions would conceive our surroundings to be somewhat minimal - It was all quiet average in decoration compared against other rooms we’ve played. As a suggestion we might recommend replacing the somewhat passé wood-effect wallpaper with inexpensive wood paneling that would imaginably make for a more realistic setting or perhaps the inclusion of some audio; whether its the sounds of old creaking wood, violent waves crashing around the ship, or even the sporadic intervention of an old sea chanty chanting in the distance would better captivate the scene. Having said all that, these are purely some ideas for future upgrades. In its defense as the game progressed the theming did pick-up sufficiently enough to alleviate our initial disenchantment. 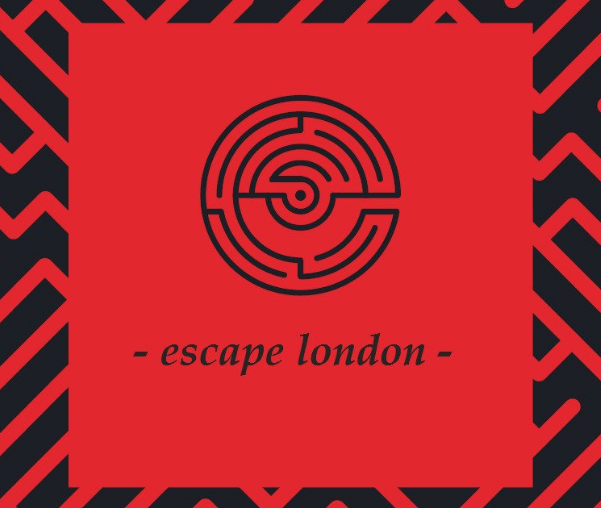 There was a good array of challenges fully covering the spectrum of logical puzzles we like to find in escape games including the use of a few imaginative, ingenious tasks. Originality that we’d not experienced elsewhere. The first mission here was effortlessly resolved and perhaps could have been padded out with a few red herrings in order to challenge players further, as it’s inclusion has potential to be recognised as one of the games highlights. One frustration was the need to reuse one particular prop. A common reiteration that has been a rule throughout all the games we have played is that once an item has been used for a resolve it becomes redundant going forward. We required a clue here and felt a little disparaged at its repeated use. Another bugbear was that the lighting on occasions could be frustrating, although we appreciate the lamps provided were fitting for its theme. The availability to use a more directional light source would have assisted a little on inputting codes on locks that were more awkward to access. We escaped in good time, however the ending was a bit of an anti-climax. Again, easily resolved by making the victory of our mission feel more rewarding with a little Yo Ho Ho in its fanfare and less like walking the plank. Escape The Seven Seas' seamless sequential links to each puzzle that played homage to its theme was definitely the main anchor here. An enjoyable hour regardless of its niggles and recommended fun for newbie’s and casual players alike. But avast ye seasoned mateys! If you are looking for less traditional formats attend this escape with your expectations at half-mast.